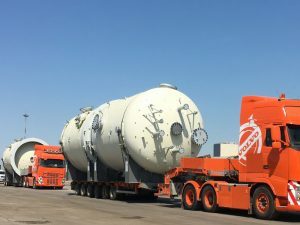 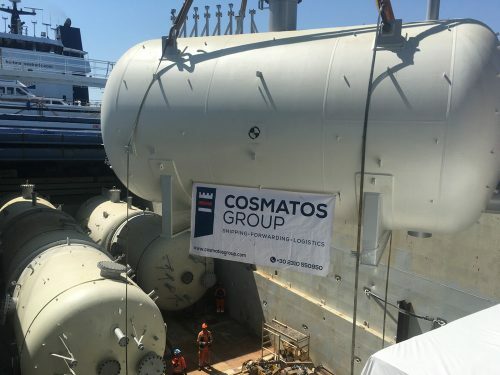 Cosmatos Group was nominated with the transport of refinery equipment from Greece to BUTACHIMIE refinery in Chalampe, France. The shipment consisted of 19 drums with a total weight of 265 mts and total volume of 1700 cbm. 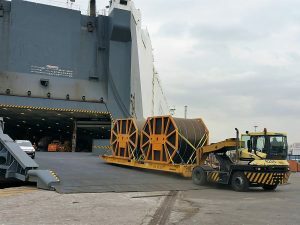 – 6 OOG units were used for the on-carriage to Thessaloniki port and loaded directly on a part-chartered vessel with destination the Port of Rotterdam. 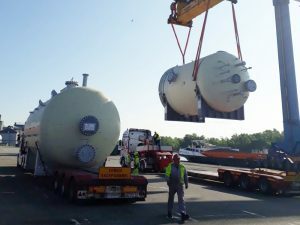 Upon arrival, they were stored at port terminal and then loaded onto a barge for river transport to Ottmarsheim pier until the final delivery by road to the refinery. Larger unit for direct road transport: 13.5 x 3.16 x 4.04 m, weight 16 t.
Larger unit for transport via sea & river: length 9.4 x 4.6 x 5.5 m, weight 35 t.
Cosmatos Project team played the key role in all loading and discharging coordination in order to ensure that all steps were followed and completed. 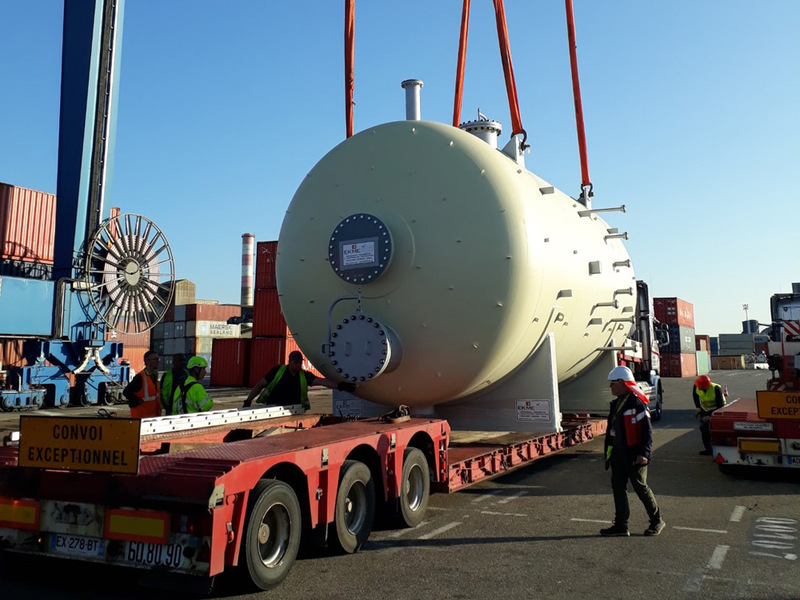 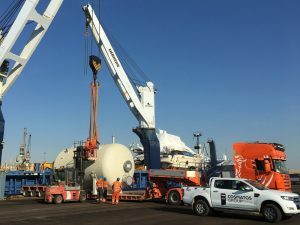 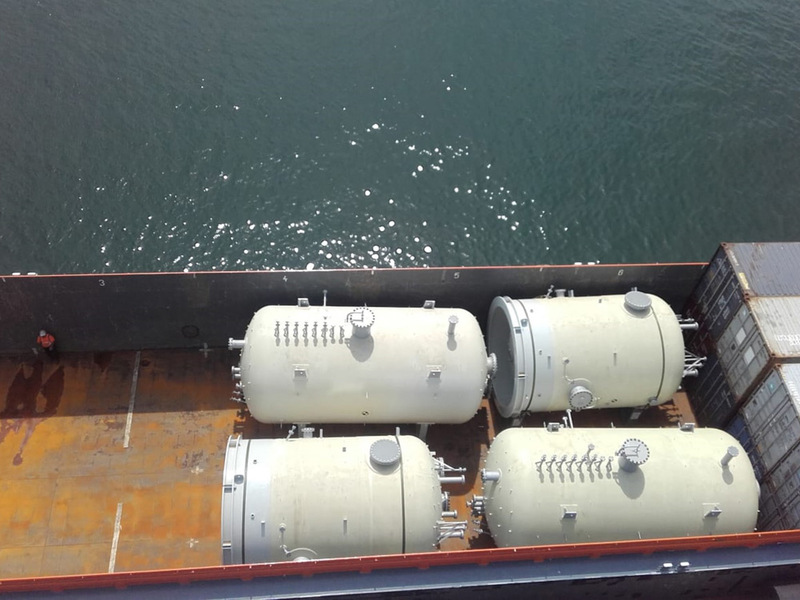 The project was concluded as per contract and within the agreed delivery time frame and cost, despite the fact that part of the transport was a partial shipment for sea vessel, as well as that three modes of transport (road/sea/river) were used for the cargo to reach its destination. 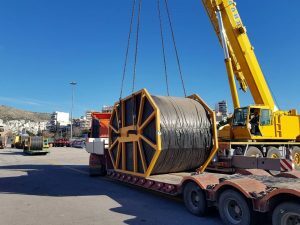 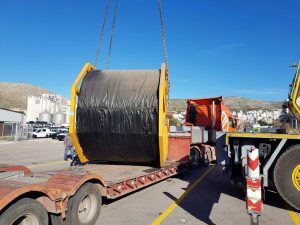 Cosmatos Group arranged the transport of 15 conveyor belts from Ex Works Volos site up to FOB Piraeus. 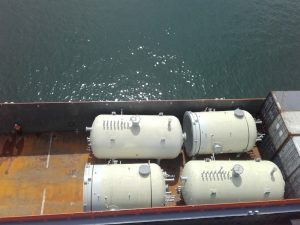 Cargo measured 4.6 x 1.6 x 3.2 m and weighed 34 mts each. The scope of work included to arrange the certification of the gantry crane at shipper’s site, loading on trucks, customs export formalities, transport to Piraeus port, stuffing and lashing on mafi trailers and loading on board a HOEGH line vessel with final destination South Africa. 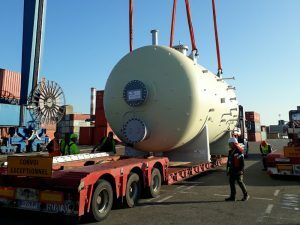 This was a complicated operation with tight deadlines in order to meet the scheduled departure of the vessel. 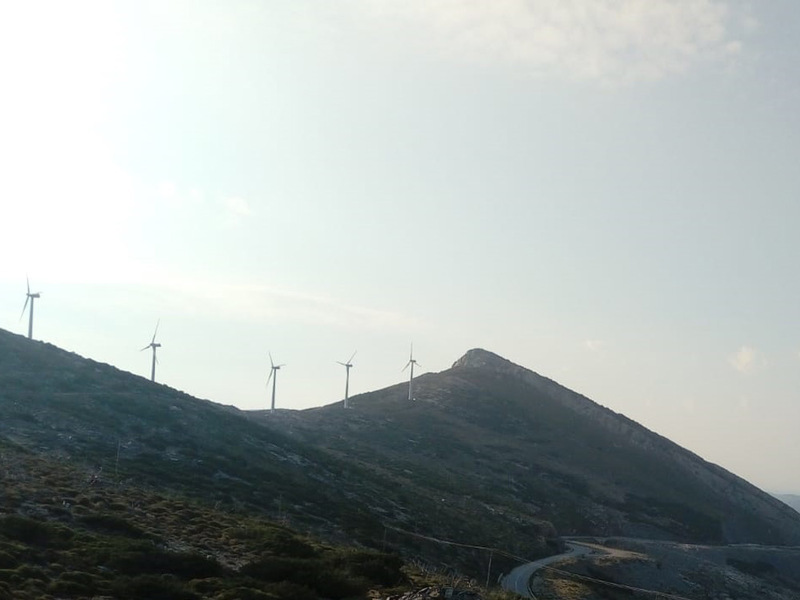 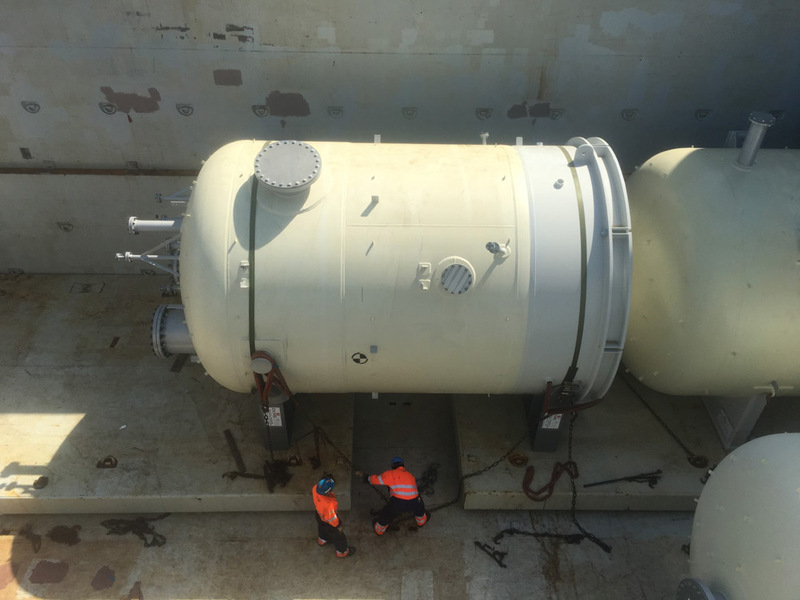 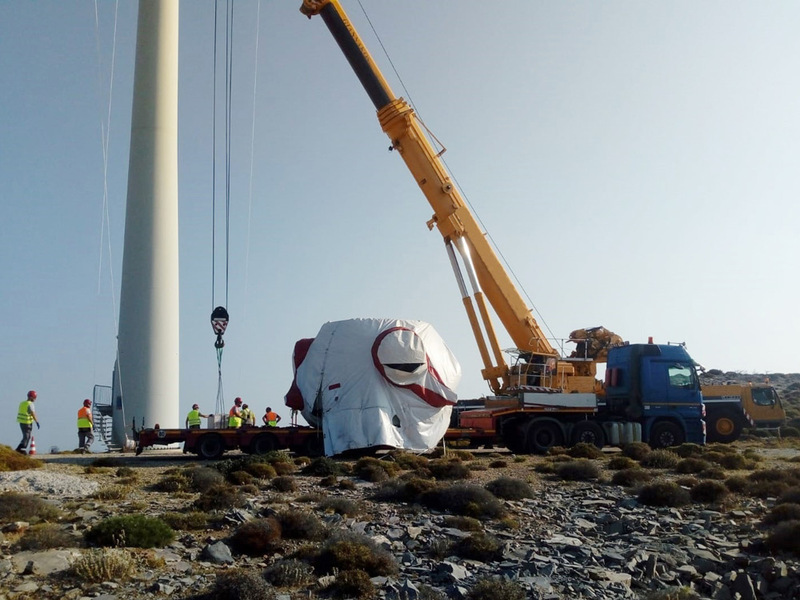 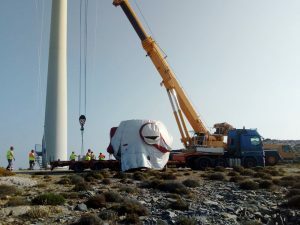 Cosmatos Group arranged a complicated transport of a windmill generator form Aurich, Germany, to the Marmari wind farm at Evia island in Greece. 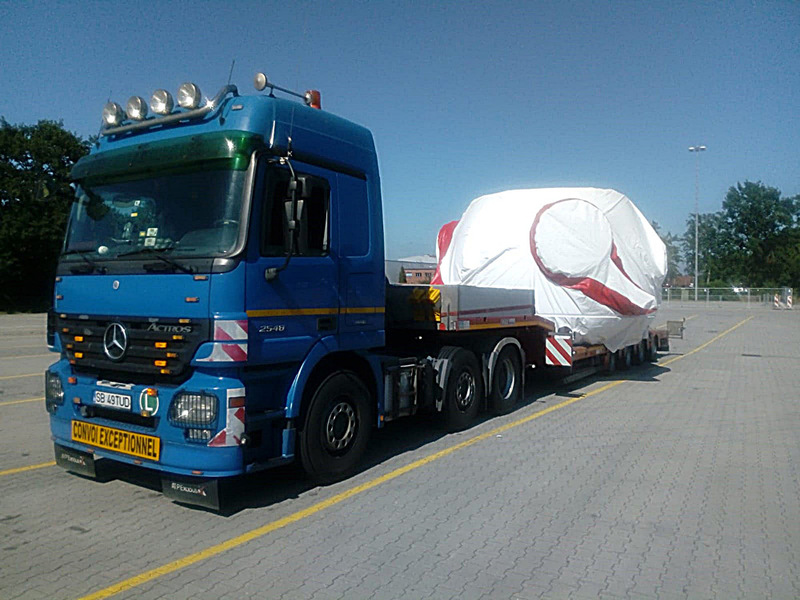 Generator dimensions 5.08 x 4.20 x 3.12 m, weight 25.300 kg each. 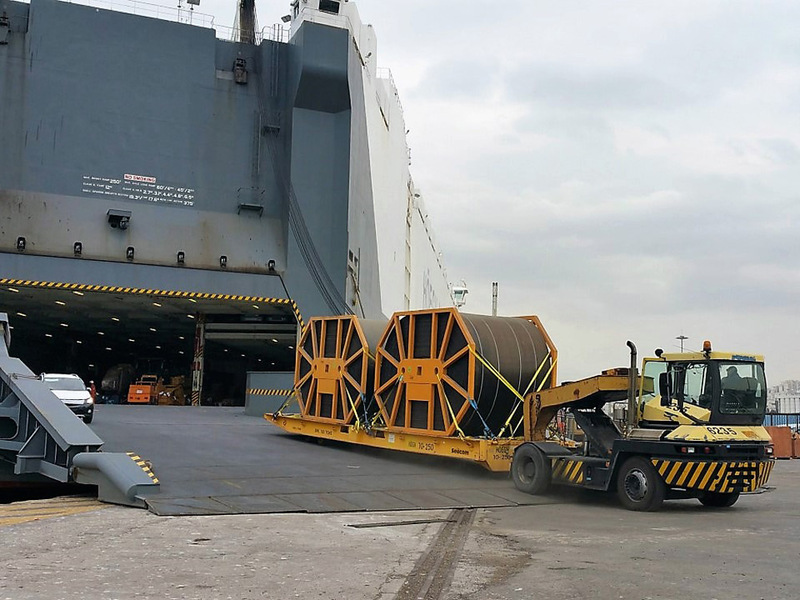 The scope of work included the issuance of road permits, provision of suitable low bed trailer, the efficient coordination between authorities of all countries, the provision of pulling unit at the entrance of the site as well as the timely movement of the transport.